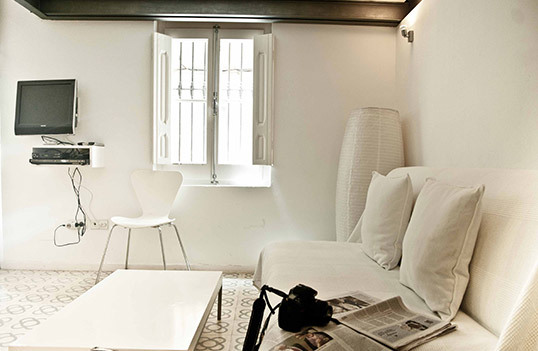 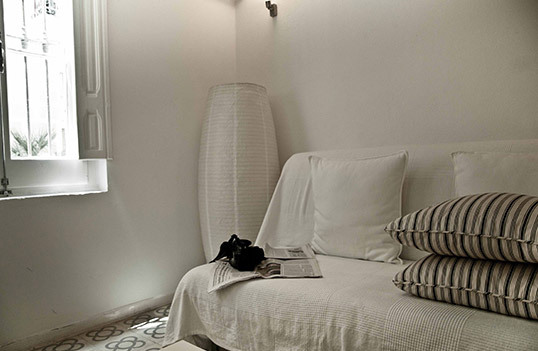 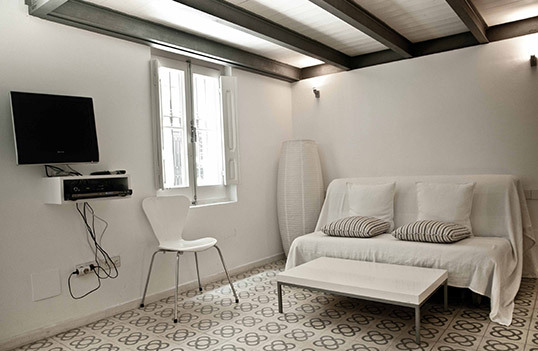 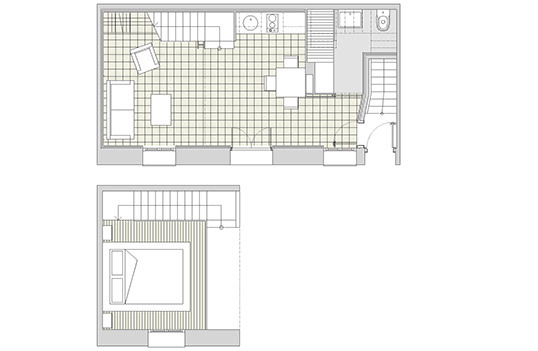 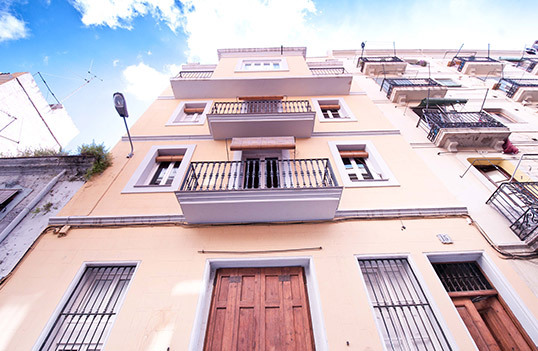 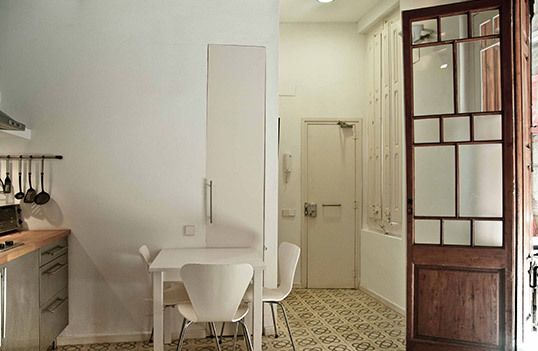 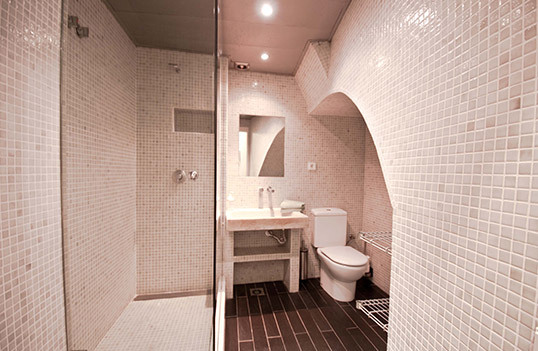 Beautiful, renovated apartment in Barceloneta combining original features and modern design. 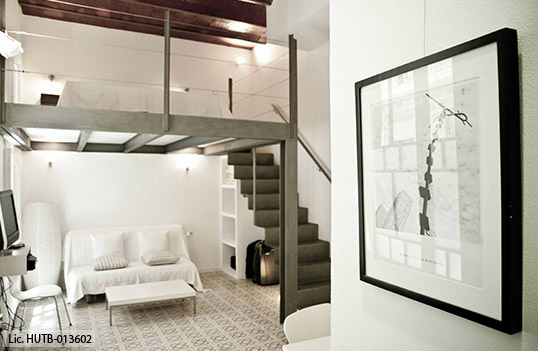 Different materials of stone, steel, glass and wood create the perfect space for your stay. 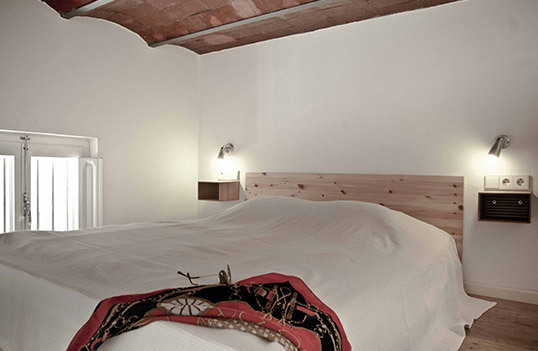 The apartmenthas has a beautiful renovated 4m high ceiling and a inner gallery with the bed above. 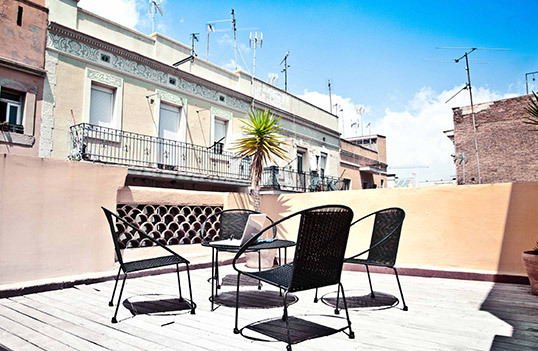 Rooftop-terrace for chill-out and sun bathing.